CYI Charters – Crewed Yacht Charters in the Caribbean and Beyond. CYI Charters | Crewed Yacht Charters in the Caribbean and Beyond. Raising the bar for service in the Caribbean. First time chartering a yacht? It won't be your last. It feels good to get lost in the right direction. Let us get you there. Yachting season is year round in the Caribbean and chartering a yacht has never been so easy. Vacationing aboard a fully crewed private yacht is truly the trip of a lifetime. Allow us to work with your individual preferences in tailoring a vacation on the water that is uniquely you. We are a yacht charter brokerage committed to finding you the perfect yacht and crew package. 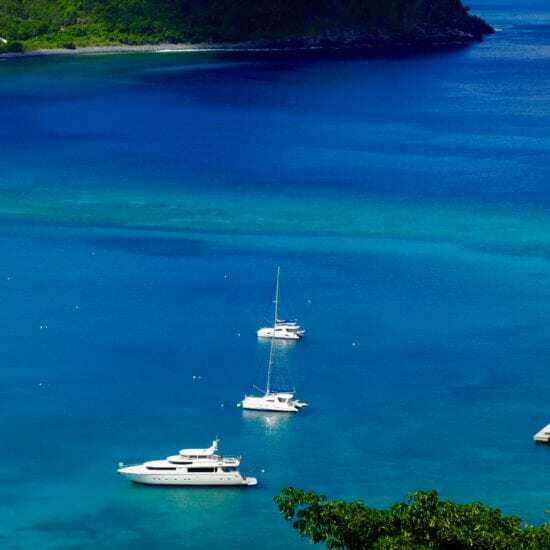 Our longtime presence in the Virgin Islands and in depth knowledge of the yachting industry gives our clients reassurance that their vacation in paradise is in the best of hands. At CYI, we are delighted to deliver the best service in the islands. Take a dip off the stern of your private crewed charter yacht in the Spanish Virgin Islands. Make some new friends on your holiday as you sail from St. Thomas to St. John aboard your luxury crewed catamaran. Scuba dive in the azure waters of the British Virgin Islands where visibility is 60 feet on a normal day. We choose to be here for you, because the truth is, we love what we do. After 16 years in the yachting industry, Lauren is eager to share the abundant natural beauty of the Caribbean with you. From a 32 foot sailboat to a 108 foot private luxury yacht, Jake knows the ins and outs of living on a boat. Ask Ken anything and everything about navigating the waters of the Caribbean. Living Life From the Water.